Well, not really. But a fellow beer enthusiast and blogger did write a post about us and our beer. The post is mostly in Finnish, but you can find the beer review in the end of the post also in English. Go read it! His blog is worth a look anyway, especially if you can read Finnish. Unexpectedly, this post will not be about the equipment we bought to make beer – although that post is currently in progress under Anni’s fingers – no, this post is about our first beer and the process we followed to make it! This decision came before the original schedule because we received all the ingredients and missing equipment during the week. Having everything in hand… well… we decided what the hell! 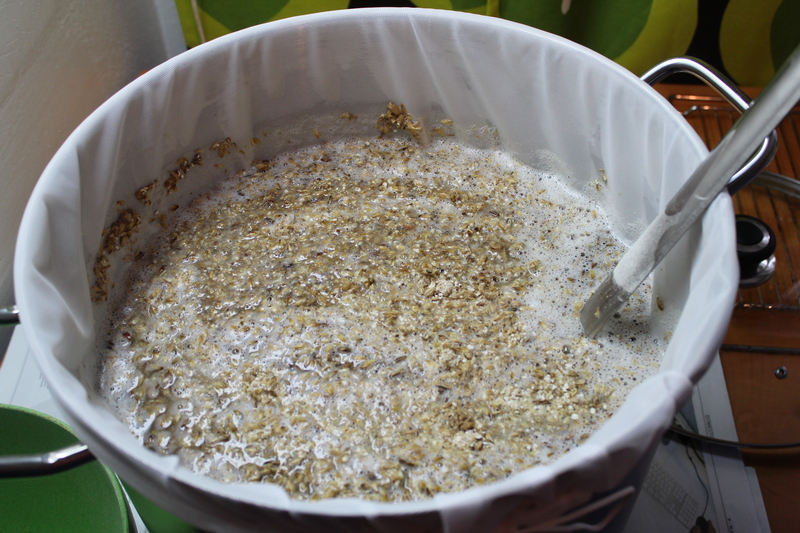 Ok, now for the fun stuff, since this is the first post related to our homebrewing, I’ll describe the process step by step, further posts will focus on the recipe and general process without many details. So!, the process can basically be divided into sanitising, mashing, sparging, boiling, cooling, pitching and fermenting. Before moving on to the steps I’d like to point out that we had a little software help. There are a few applications out there that are pretty helpful for the beginning brewer, some are: BeerSmith2 and BrewMate. For this beer we used BrewMate (http://www.brewmate.net/), which is free software for Windows that pretty much does all the math for you in terms of amounts of water to use for mashing, sparging, temperatures, etc. It basically makes all the calculations based on the ingredients you want to use and the desired beer outcome, so it saves quite a bit of trouble in making beer. We’ll write a review on some of these applications at some point. For now, on to the brewing! This is not just cleaning. This is actually disinfecting all the equipment that will come in contact with your wort with special agents. This subject deserves a post of its own, but suffice it to say that it basically consists of diluting disinfecting chemicals in water(i.e. chlorine, ammonia, iodine-based sanitisers, lye, percarbonates, etc.) and using this to disinfect everything. An important thing to highlight is that is that BECAUSE we used a mashing bag for the malts the “Mash tun”(another container that is used when you have no bag, a cooler is typically used for this) was not necessary. While the mash was on-going, we checked the temperature and stirred every 20 min. All in all, we mashed for 90 min and the temperature never went below 64°C. 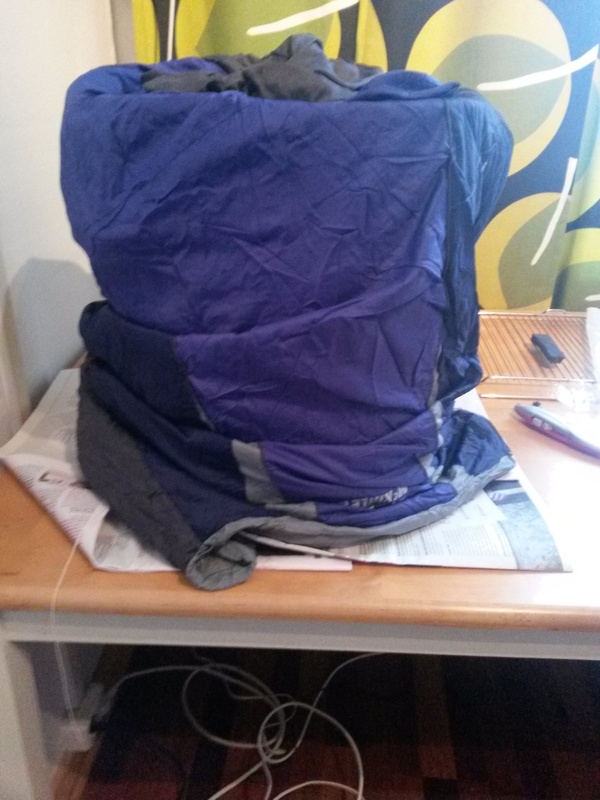 The insulation worked better than expected. After this we put the kettle on the inductive stove and put the temperature up to 71°C-75°C for 12-15 minutes. This was the “mash-out”. Doing a mash-out is not necessary, but its recommended since it makes the wort warmer, less sticky and easier to filter, and it also destroys the left over enzymes in the malt. With this gravity we estimated the “mashing efficiency”, which translates to the efficiency in abstracting fermentable wort from malts. Since I won’t go into maths in this post I’ll just say that the estimated efficiency was between 65-72% which is not bad for a first try. I’ll make a separate post on calculating efficiency at some point in the coming weeks. After the mashing, we needed to bring the wort to a boil. We put the inductive plate to max power and waited for the boil to come. It took almost 20 min to get the boil, but we got it. We boiled for about 10 min while we added the bittering hops to the hop bags (think tea bags) and then we added them into boiling wort. This was done for 90 minutes. 2 minutes before the end of the 90 min boil we added the finishing hops. At the 90 min mark we took out all the the hop bags out of the wort and turned the induction plate off. Wort preparation complete. The wort once boiled had some floating stuff in it, these were basically the proteins from the mash that coagulated. Its normal, and its actually desired to have them around, since its a good indication that the wort is good. I’ve read that some brewers like to filter it before adding it to the fermenter, while others prefer not to. I guess its a matter of choice. Once the boil was done, we used a cold water bath to cool it down. Depending on who you ask (or read), its IMPERATIVE to cool down the wort within 40 minutes of the boil. To do this you need a heat exchanger or immersion cooler, but since we didn’t buy one, we went for the water bath. 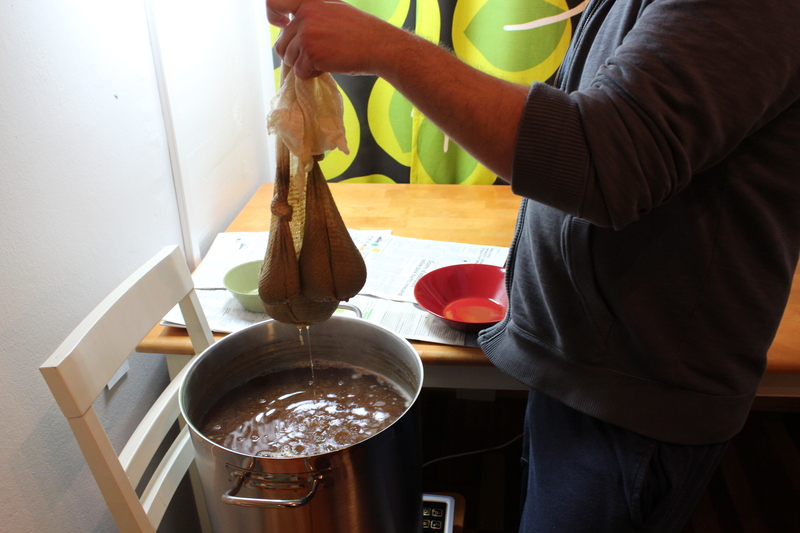 Some Finnish homebrewers and friends use the “No chill” method, which is basically letting the wort cool overnight in the sealed fermenter(to prevent oxidation) and pitching the yeast the morning after once the temperature of the wort is in the 20°C range. For the water bath we changed the water a couple of times, went to eat, came back to change the water, and then went for some beers. Upon return we checked the temperature, it was 21°C. Next, we poured the wort into the sanitised fermenter. At this point you want make the pour as vigorous as possible so that the wort gets oxygen in it and it helps the yeast cells eat. Once inside the fermenter we took another gravity measurement. Unlike the previous one that was used to calculate the efficiency, this one was to get the Original Gravity(OG). This let us know the “alcohol potential” of the beer, our measurement came up as 1.050-1.052 which equals an alcohol potential of around 7%. See picture below. 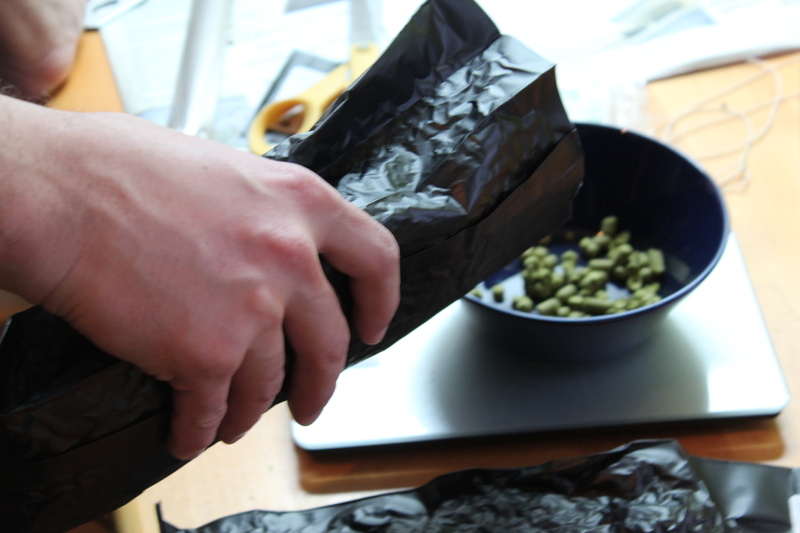 The nutrients are enclosed in a sealed package inside the bag, so to activate the yeast one just needs to literally “smack” the package to break in inner container and let the yeast activate. Depending on the age of the yeast it is recommended to activate 3-5 hours before pitching or 2-3 days before pitching. The final step before fermentation was simply to pitch the yeast into the wort, seal the fermenter and put on the water lock and shake the fermenter vigorously to mix the yeast and put more oxygen into the wort. The water lock allows CO2 to leave the fermenter, but prevents oxidation during fermentation. The fermentation of our beer is currently still on-going, we expected to hear the water lock bubbling the morning after pitching, but it took a bit longer to start. It wasn’t until about 15-18 hours after pitching that we started hearing a constant bubbling and seeing a nice “krausen” (the foam at the top of the beer when fermenting) developing. At the moment of this writing the fermentation has slowed, but is still ongoing. We’re not sure if we’ll leave it for 7-8 days or if we’ll do it for 14 days, we plan on measuring the gravity on day 7 to see if the beer is ready or not and then decide if we bottle or not. Until then let’s see what happens! As promised during the last post, this one is about books, and the subject of the books, is of course, homebrewing! This review will only focus on the first two books, since the other ones have either not been read or have other purposes. However, as general information, the “For the Love of Hops” is a very complete book on hops, how they work, their different varieties and how they affect the flavour and aroma of beer. “Michael Jackson’s Beer Companion” is a book that describes everything about beer, from the history of different kinds of beers, their flavours, aromas, descriptions, etc. While we haven’t read them yet, they seem very promising for the beer geek, but they are by no means necessary to start brewing. Now, starting with the dummies book, which cover you can see below. The main sections are the first four, so I’ll focus on detailing those a bit and then just mention briefly what the others talk about. 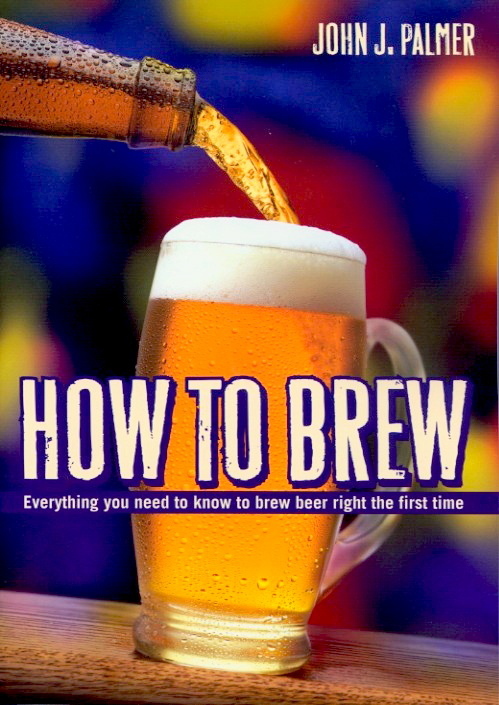 This section talks about hygiene, the general process of beer and the equipment necessary to brew beers. The equipment is separated into 3 levels, beginner, intermediate and advanced. This section talks about the ingredients of beer: Water, Malt, Hops and Yeast. It does so in a separate manner and then puts the whole jumble together. It explains what each ingredient of beer does, how it works and how it affects the overall resulting beer. 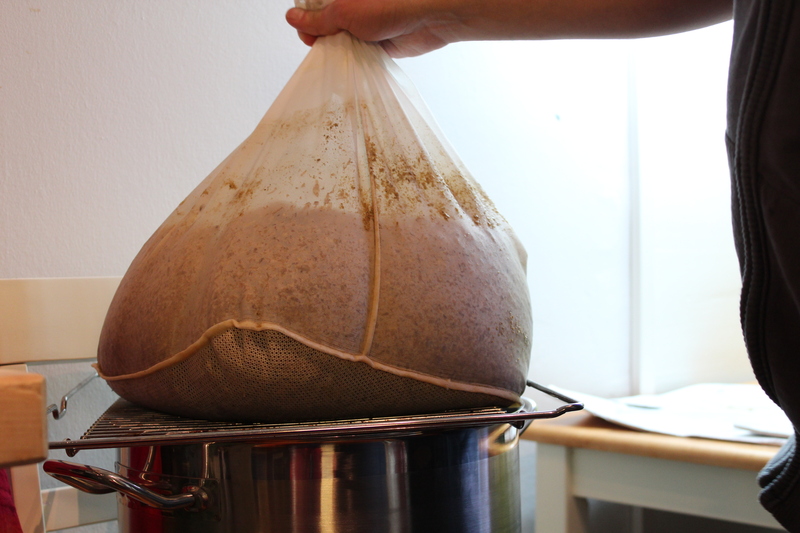 Here’s where the fun starts, this section focuses on how to brew from start to end. It does so in a similar manner to the equipment classification; using 3 levels. Beginner, Intermediate and Advanced brewing. A very thorough list of beer types (around 50+) that can be made, also classified to beginner, intermediate and advanced brewing levels. Some of the recipes were donated by award winning homebrewers. Sections 5,6 and 7 focus on making cider, mead and using weird ingredients and spices. 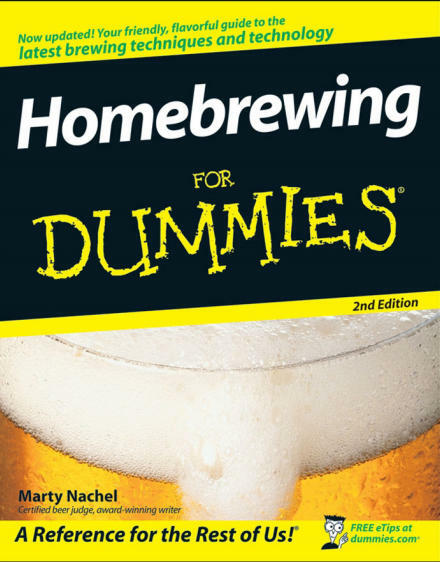 They also have content on DYI equipment for brewing, how to taste and evaluate beer, and how to troubleshoot your brewing. On to book two! -> How to Brew, shown below. Disclosure, I haven’t finished reading this book yet. But to be honest, I don’t think I need to in order to provide my view on it. In general, the content on both books is the same, they both cover EVERYTHING the beginner needs to start brewing. In the sections I’ve read of this book, I get the impression that the dummies book leaned heavily on this one. Some of the analogies used are similar, or the same, and the general feel is also very similar. I say this and not the opposite because Palmer published his book in 2005-2006 while the dummies book came out in 2008. Now, taking into consideration that the books have the same or similar content I have to say I prefer the way its presented in this book. There are more pictures and photos and its easier to know what the author is talking about. The annex section is also richer and is a bit more on the technical side compared to the dummies book (which does mention techie stuff, but not as thoroughly). One thing that could be considered a downside is that this book has less recipes, but really, it doesn’t matter too much since thousands of recipes can be found online in any case. Another thing that is a bit better in the Palmer book, particularly if you’re into process learning, is that it suggests recipes and walks you through these. This, leads me to one of my 2 issues with both of these books. Now, don’t get me wrong, this is the correct way to go; its the best way for a COMPLETE beginner to go about things. But, if you’re in my situation, namely someone who has brewed at the beginner level but wants to skip to the advanced without going through intermediate, the books aren’t so straight forward. In other words, you have to read all levels and get familiar with all the processes at all levels to understand the advanced… why? because each new level excludes what was already learned in the previous level. That being said, this a very particular situation to be in, and its our fault in any way, so don’t let this detract from both books, they truly are good books. 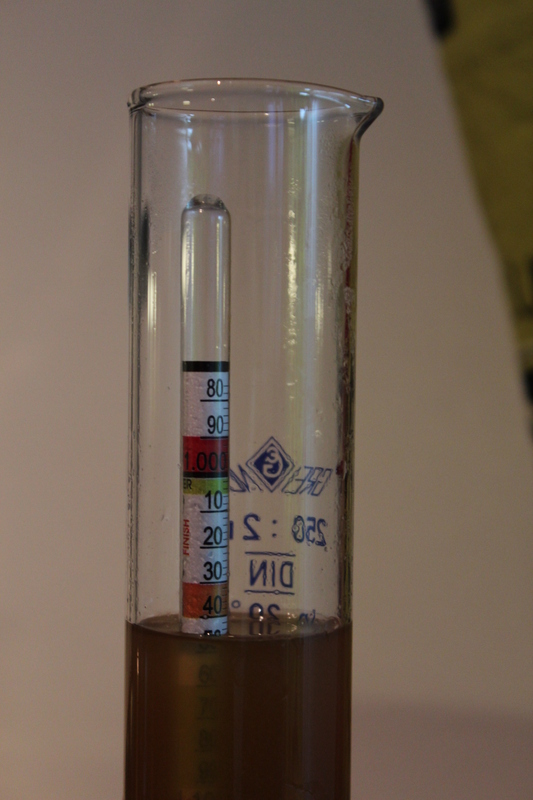 Water pH.- Finns don’t really care, books suggest controlling pH to different acidity depending on the beer. 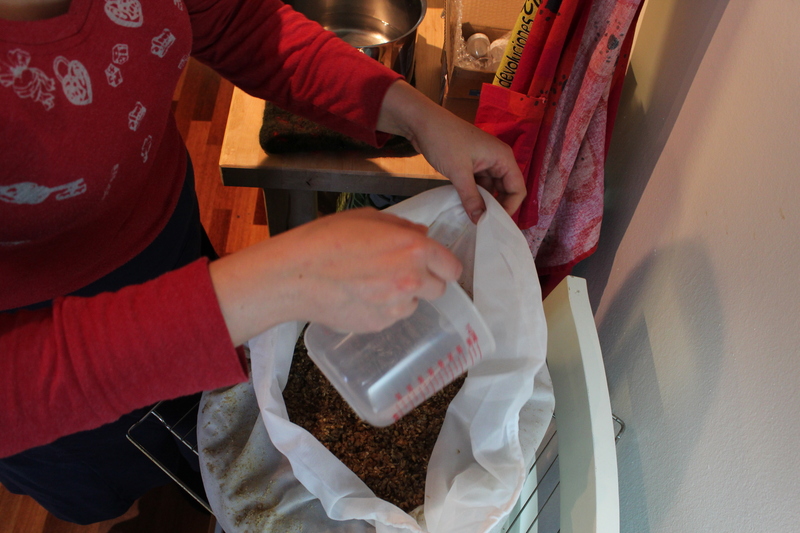 Mashing.- Finns use one big pot with a huge infusion bag and control temperature with a mix of stove and water. Books suggest having 2-3 25L pots/containers and the mashing process consists of regulating the temperature with hot and cold water. Fermentation.- Finns sometimes use secondary fermentation and mostly bottle after first fermentation, books suggest that secondary fermentation is usually compulsory (depending on the recipe). To be clear, the list and the generalisation above is meant as an example and by no means does it discredit either parties. I just find this particularly interesting due to the situation we’re in: Do we want to be a stickler for details and have all the most awesome equipment for our first “advanced” level beer? Or do we compromise between both advanced and simple processes? If you’re starting or are interested in starting to brew, both books are good, but I’d incline towards the Palmer book. Especially if you’re interested in math, engineering and the nuances of beer making. If you want to be a stickler for details and want to have ALL the equipment needed to make this easy, you only need the books and a significant initial investment. If you want to brew advanced level beer(full grain) using a simpler process I’d suggest a mix of book education and blog/forum education. Above all, I’d suggest to not be overwhelmed by details. It’s very easy to get to the point of knowing too much but not having a clear view. Read, learn, don’t worry and DO, ultimately that’s the only way to learn. Ignoring the fact that this has turned out to be a longer post than expected, I hope you enjoyed it. Our next post will probably by related to our equipment and what we’ve bought. Anni and I have been discussing for the last few months about starting to homebrew… given that we’re both beer geeks to some degree we’ve decided to take it up a notch! I’ve brewed before, but not properly, only using the malt extracts and not being very successful. That, ideally, all changes now. We’ve bought some basic educational material, we’ve spoken with friends, checked out blogs, bought missing equipment and are currently in the final preparations to start home brewing as a hobby. As a warning; posts will be mostly in English, but Spanish and Finnish will also be around now and then, if we think the post is worthy we’ll post the corresponding translation. PS. Dunno when we’ll post again, but you can expect the following post will be about reading materials, and starter kits and how we’ve gone about all the preparations.